In the wake of another murder, Poirot and Crome begin to narrow in on the killer. 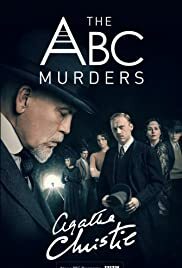 A third murder leads to sensational headlines and ridicule for Poirot and Crome, who discover the connection between the murders and try to use it to work out who will be the ABC killer's next victim. 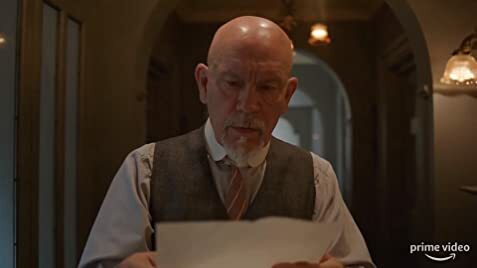 In 1933, retired detective Hercule Poirot starts to receive threatening letters signed "ABC". When he informs Scotland Yard, they ignore his fears, and soon enough, a series of killings begins. Q: What is the Chaconne played in Episode ? Is it Handel? Rightly or wrongly this was a story inspired by the original Agatha Christie novel rather than the story itself. Yes it was very different BUT I still found it very watchable. I watched it over 3 consecutive nights and wanted to watch to the end despite knowing 'who dunnit'. I was intrigued to find out about the demons Poirot was wrestling with from his past. It was a tad overlong though, I think two episodes with less padding might have been better, and why they didn't just make something similar with a new detective we didn't know is unfathomable as they made it almost unrecognisable anyway. It would have worked just as well as I thought John Malkovich was very good.